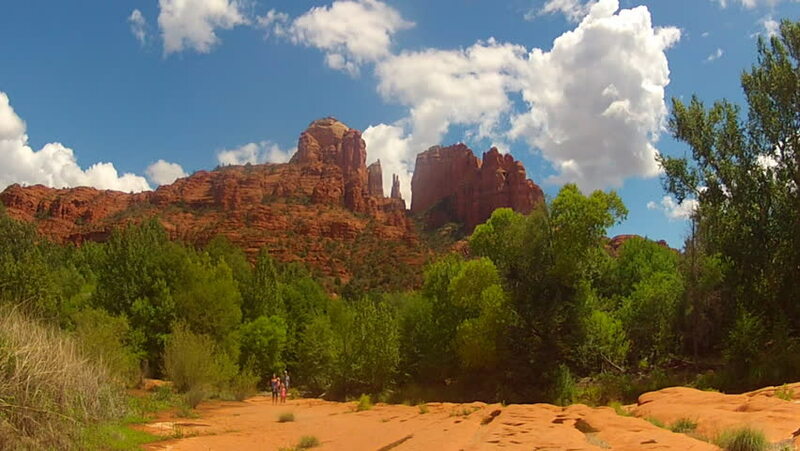 SEDONA, AZ: September 14, 2014- Time lapse fast motion shot of clouds over Cathedral Rock circa 2014 in Sedona. Tourists and hikers move along a trail under colorful sky and red rock hills. hd00:10SEDONA, ARIZONA-USA: May 21, 2017- A view of the famous Cathedral Rock set against dramatic clouds. 4k00:30Aerial of Bryce Canyon Red Canyon landscape. Red Canyon near the Park within Dixie National Forest in southwest Utah.